BioXTEND® Co. is celebrating its third anniversary and is strengthening its global leadership bringing universal trusted solutions for the removal of ethylene gas, bacteria and molds to the world of the fresh produce along with reliable cost-efficient temperature monitoring devices. As a matter of fact the company just launched a new fully disposable/recyclable eco-friendly ethylene filter to protect even better the produce freshness all along the supply chain. The brand new BioXTEND® Ethylene Filter is absolutely dust-free and offers outrageous absorption capacity thanks a special permanganate mix developed in cooperation with FGC University. The inexpensive user-friendly filter is already in use in more than 20 countries worldwide and completes and wide range of solutions to protect the fresh produce from early ripening & decaying, such as the BioXTEND® Ethylene Sachets for fruit boxes-trays-bags, the EthylGuard® Filtration Units designed to purify the air within storage facilities and the BP plastic cassettes commonly used in the storage of apples and pears under controlled atmosphere. The whole product line is made in Florida (USA) with high quality standards exceeding the produce industry requirements. 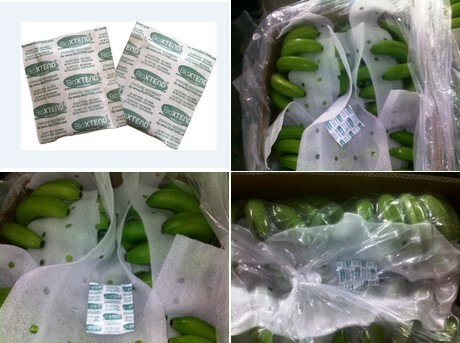 Besides, the products are suitable for organic farming according to RCE n° 834/2007 (approved by ECOCERT) and the BioXTEND® Ethylene Sachets are OMRI Listed in the USA (organic compliant). You can visit BioXTEND at Fruit Logistica HALL 23/Stand F-16 in Berlin.